So there we were, way back when, actually March 2014 to be precise. We were staying just down from Saint Veran, which is the highest commune in Europe at 2042m in the village of Gaudissard at the La Maison de Gaudissard . On our second day, we awoke to some light snow, and our plans changed as the locals advised that, if we were to go further towards Italy, there would be more snow as this was a 'Retour d'Est' and snowfalls of up to a metre in 24hrs are not uncommon. So we headed to the resort of Abries, the snow was already falling much much heavier than in St Veran / Molines and a good day was had. That was my first experience of the Retour d'Est, more here about that first trip, and since 2014 I've lost count of the number of road trips that I've made, some exactly that, a day's excursion (always a good couple of hours to get to where the snow is), whilst other trips, notably Val Maira and Limone Piemonte have been part of a week-long tour. Since 2014 I've seen many a website jump on the Retour d'Est band-wagon and in some ways that has been detrimental, as our first road trips to the Queyras we were in the minority now you have to arrive at Abries for first lifts. However, if you're prepared to travel further afield then there are other locations that offer lift access to great off-piste and are nowhere near as busy, though will depend on the day of the week, and of course, if you're prepared to get your skins on then there are so many more options! I'm not going to explain the science of what constitutes a Retour d'Est or Genoa Low, the top image pretty well shows what it is. But those lines you see on the chart, isobars, show how the front tracks counterclockwise in an area of low pressure (depression), and unlike Atlantic low-pressure systems that can track across the UK in a matter of hours the "Genoa Low" will often not budge for a couple of days and will continue to dump bringing "weather" on a continually rotating basis from the East, hence "Retour d'Est". 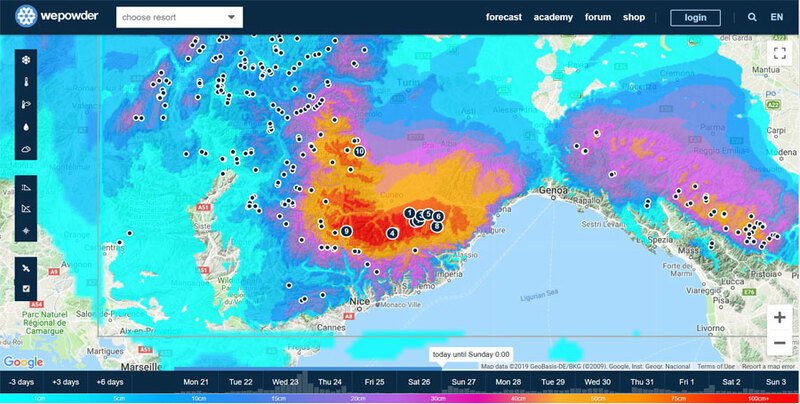 When/where it gets difficult to predict, is that all it can take is a movement of 30km of the low-pressure system and or overall size of it and that can be the difference between the likelihood of resorts such as Serre Chevalier, Val Cenis and even Val d'Isère benefitting. Similar to my first experience of a Retour d'Est when we were in Molines, and then travelling three valleys further North to Abries / Ristolas the difference in accumulation was staggering. 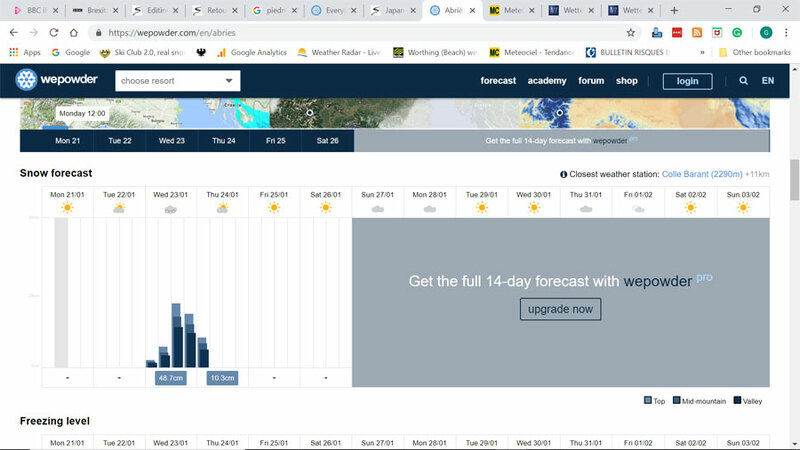 I've started compiling this feature about the Retour d'Est / Genoa low three or four days before there's one predicted, so it might end up being a classic or a damp squib as the weather is never 100% even three or four days out! 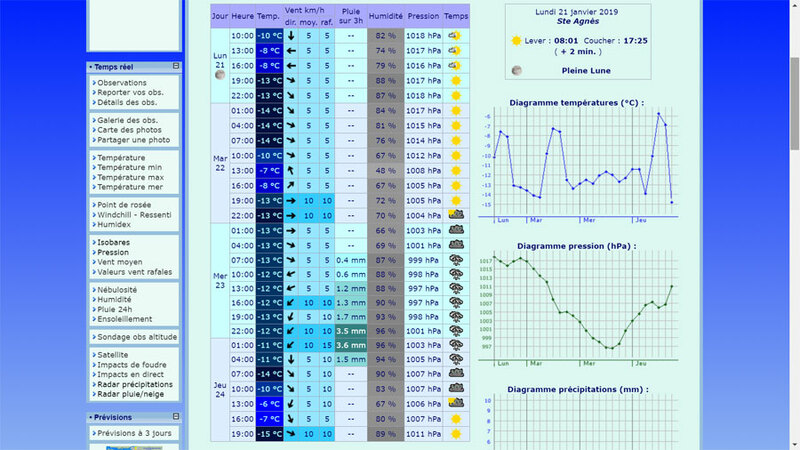 These two charts show just how fickle predictions can be only a couple of days out, as the low develops. Really only those who are extremely flexible can make the most of the Retour d'Est, powder hounds who can drop anything and chase the fresh, guides who will be studying the weather systems as to where best to take their clients and that they too have the flexibility of taking their clients where the best snow is, and that often means securing accommodation at the last minute, though with the likes of Air BnB and Bookings.com that side of logistics is a little easier than five years ago. 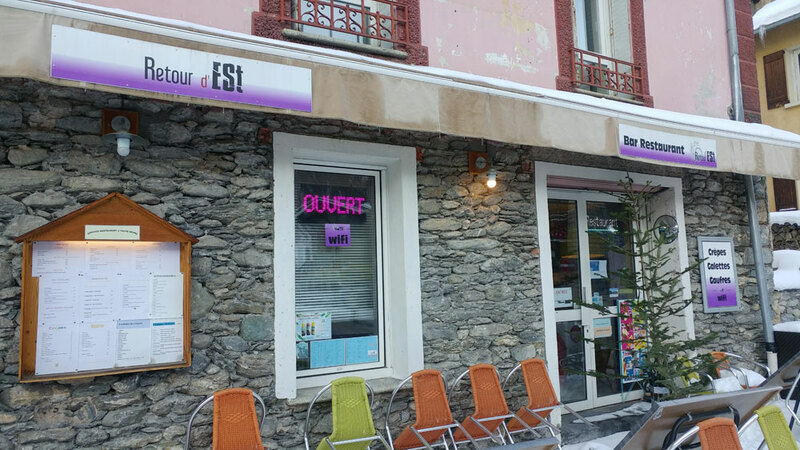 Choosing where to go often is based on where your "base camp" is, for us in Serre Chevalier the Queyras and Milky Way is a far easier option than resorts in Piedmont near Mont Viso such as Prali, Crissolo and Limone Piemonte. And all the above depends on studying the plethora of forecast sites that are out on the web! I usually start of looking at long term GFS ensembles and then if something looks of interest look closer at the synoptic weather charts to see what might be producing the predicted precipitation. 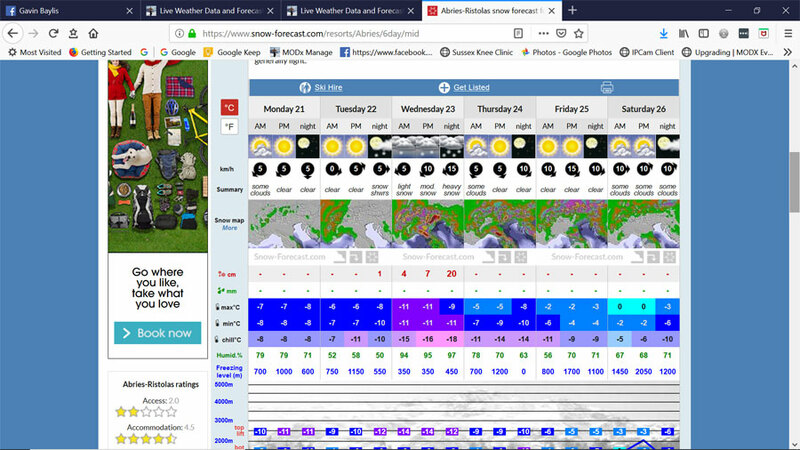 I will then go and look at a site like WePowder / SnowForecast to see where the most snow is predicted to fall, and that is where the anomalies start! I will then go and look at a site like WePowder / SnowForecast to see where the most snow is predicted to fall, and that is where the anomalies start, as the numerous forecast sites use different models to generate their own "spin" on the models with various graphic interfaces. Late at night or first thing in the morning, I will look at the precipitation radar(s) as this is the most accurate picture (apart from webcams) of how much snow is actually falling. 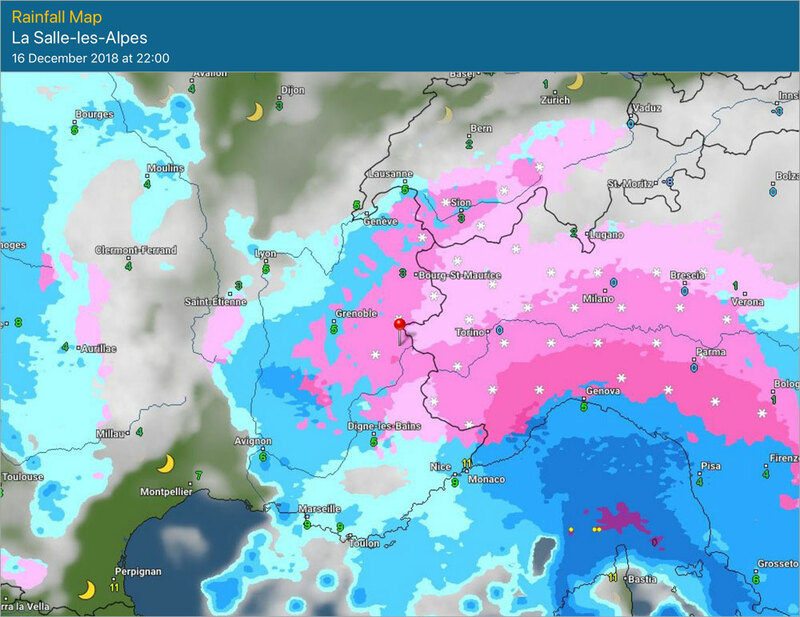 The radar image below was of smaller Retour d'Est Genoa Low system that did result in snow Serre Chevalier, hence we did not need to do a road trip. Chasing powder via road trips can be a little frustrating, my best experiences have been when I'm staying in the immediate vicinity to make the most of the conditions, even then that too can go wrong. Chasing powder = storm riding which invariably means low visibility and often too much snow which can result in upper lifts being the case due to avalanche risk. Three out of four trips to Prali have been exactly that with only the main chair running, hence packing skins is always a good idea. Also, it's only really now since my last trip to Prali with good visibility that I now know the resort a little better, however, there are still sectors to be explored. Most day road trips from Serre we end up storm riding though have been fortunate to be there the day after and still scored untracked. Time of year is also important. As fresh snow in March can be powder first thing as it falls, but very quickly with temps above freezing will get heavy and almost unskiable. These links are to previous articles and features. This was my first experience of a Retour d'Est in the Queyras back in 2014 when we were touring down there for four days. This was a road trip to Limone Piemonte en route to Val Maira, think we were there for a couple of days. This feature is an interview with the owners of a Locanda / Gite in the heart of Val Maira. And last year we scored some superb conditions in Abries / Ristolas. 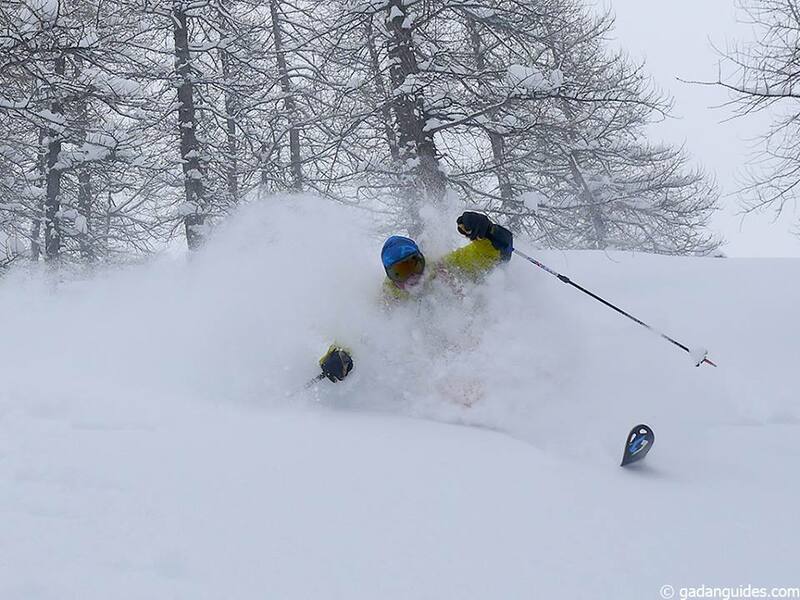 There are a whole load more trips buried away in the blogs (use the search function) and this trip was maybe one of the classics, to Val Maira where we were enchanted by the Italian 'folletti' or goblins, bringing us fresh powder every day, so light it was Italian Fairy dust. On that day, my good friend, a guide Per As was skiing in Abries, and he said that was his best day skiing ever, anywhere in the World including Japan! So looks like we will not be visiting Abries this week, and we now concentrate on where the next road trip will lead to. And this is a Cafe in Abries, and any village that has a Cafe named after a weather system is pretty cool.